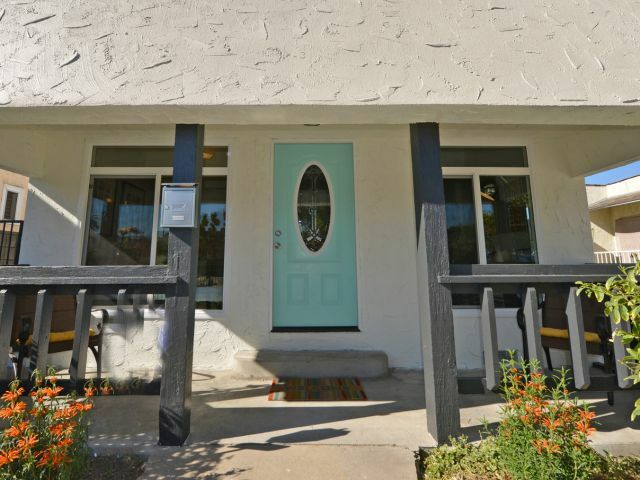 Introducing a Mid Century Modern in the Mid City Emerging Arts District. Newly Renovated and spacious with Expansive Windows, Wonderful Lo-Maintenance Drought Resistant Garden, Long driveway that accommodates 4 car Parking. Featuring a long center hallway perfect for art, LED Lighting, Large Bedrooms, Custom tile work in both Full Baths, Updated Kitchen with Gray Quartz counter tops, New cabinets and Stainless Appliances. Full 2 Car Over sized Garage with opener, huge amount of storage, and an attached Bonus Room of about 400 Sq. Ft. that can be used as a family room, Office, or Even Possible to convert to an Income Unit, as the Lot is zoned Lar2. Updated Copper Plumbing and Electrical. This home is situated in a convenient location with only a 5 Minute walk to the New Metro Station. Load up your bikes and head to the beach!